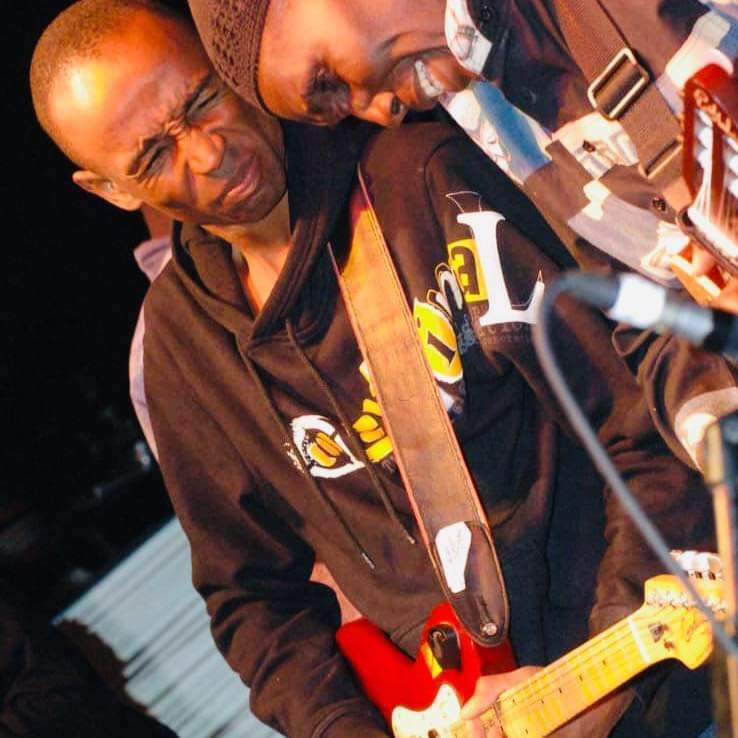 Oliver Mtukudzi’s guitarist then, Philani Dube, had fallen sick and Tuku was about to go on a two-month tour of Europe and North America so there was a need for a replacement. A number of guitarists were auditioned but Tuku and his manager Debbie Metcalfe were not impressed, that is when a number of people told them to call Mono. Tuku had seen me at Prince Edward School where I taught guitar lessons and was impressed. He did not know my name, but he had concluded that he would look for me if the “Mono” who was suggested to them also failed to impress. He was not aware of the coincidence. Mono, who was said to be one of the good guitarists to try was the same person he had seen teaching guitar at PE. I was called by Metcalfe on Monday 3 February, 2003, to come for a practice session with Tuku. On Tuesday February 4, 2003, I attended the practice session at Debbie’s house. It was a rehearsal and audition combined. I passed the audition that is when I joined the band. Having heard Tuku’s music since I was in Grade One, I was very nervous although I tried my best to hide it. I then noticed how friendly he was to his band members, so he made me feel at home. Tuku was a comic, he would joke with the band members as if he were the same age with them, but at the same time if you misbehaved he would rebuke you in the form of a lecture. There is what we used to call “The Mask”. Every time you played a wrong note or something that he did not like he would turn around and show you a frowning face, in a way that the audience would never notice but you would clearly notice. If the mistake was not corrected, that is when the long lecture would come backstage. But I appreciated his need to respect you enough as to not embarrass you in front of the whole crowd. The way he freely and jokingly interacted with his band members made it easy for the band to have stage work chemistry.